That’s some title, is it not? An attention grabber for sure. However, a very important question to ask. A question that I have held off posting for many, many years. The reason is this very important question strikes fear into the hearts of people everywhere. We have been conditioned for so long to believe that such a question was off-limits. Not just off-limits, mind you, but we have been taught that to ask this question is the most blasphemous thing a person can do. 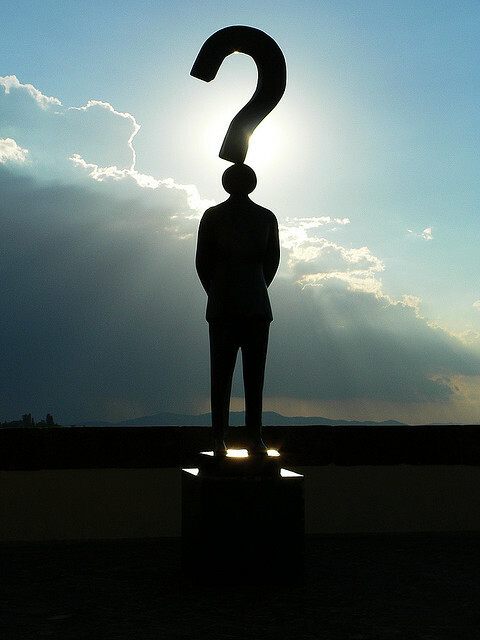 What if the reason we have been conditioned to not ask this question is because the question itself may prove to be the very thing that sets us free? Now I could post all sorts of scriptures that would make many second guess what they had been taught about God to begin with. For example: That God is somehow far from them… when scripture teaches us that God is within us, through us, and is us. For God is all that exists. 1 Corinthians 8:6 – yet for us there is but ONE GOD, the Father, FROM WHOM ARE ALL THINGS and WE EXIST FOR HIM; and one Lord, Jesus Christ, by whom are all things, and we exist through Him (CHRIST). We (who we believe ourselves to be) exist for GOD (the only one that really exists) and WE (Who we believe ourselves to be) exist THROUGH Christ. The SON (who we are in this world) makes the Father known. And why does the SON (God’s creation) do this? … Because no one has SEEN God at any time. You can’t SEE the SEER people. The SEER declares the ONE who sees. This is hard for me to explain and make plain here as well, which is why I have held off so long from posing this question before you all. Ponder this for a moment: Who is the one seeing out of your eyes? Is that you? Now take it a step further, who is the one who creates the dreams you have at night? SURELY, you believe yourself to be your conscious mind. But your conscious mind is so much smaller than your sub conscious mind. In addition your conscious mind is IN your subconscious mind, and your subconscious mind is in your conscious mind… and news flash people…. Your conscious mind and subconscious mind are BOTH IN YOU. No one can know the subconscious mind (for lack of a better title), but the conscious mind makes the subconscious mind known. I know this may be a lot to take in and may seem like a stretch. Nevertheless, the point of this simple essay is only to get you to question…. WHO AM I? AM I IN CONTROL? 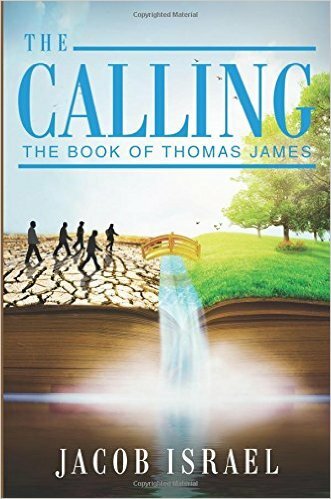 WHAT IS THE MYSTERY OF THE KINGDOM OF GOD? When the disciples asked Jesus to show them God, to make God tangible and understandable to them… what did Jesus say? Jesus said, IF YOU HAVE SEEN ME YOU HAVE SEEN GOD! He said God is IN him, and he is IN GOD. He said, even the words he spoke came from God (not WHO they thought Jesus was). Let me explain that for a second. Jesus understood the truth. That HE AND GOD were ONE and the same… That the “Jesus” part was a creation or the SON (offspring) of GOD (THE ONLY ONE WHO REALLY EXISTS). Another way of understanding this mystery is to look at our own sense of being. Who we believe ourselves to be in this world, our names, our pet peeves, our likes, our dislikes, our hang ups, etc… that is a creation of WHO WE REALLY ARE. Who we are in this world is who we CHOOSE to be in this world. We can easily change who we are. We can change our names, try new things, we can do whatever we want, become whoever we want… we are in control of who we project into this world… In other words, who we project into this world is our offspring. Who we project into this world is our creation, our child… And the only way for others to get to know the REAL US is by the CHILD (our creation) to express who we really are. Because no one can really know who we REALLY are, all they can is WHO WE DECLARE TO THE WORLD. So the SPIRIT within us, the “Lord” (existing one/one who truly exists) projects into this world the person we believe ourselves to be. And Jesus knew this well. Jesus understood that who he was in the world was simply the “child” of the God within us all… He wouldn’t dare say I AM GOD… yet he understood that God was LORD, that he was ONE with God and if ONE… then there is no other. This is a mystery and one that is hard to explain. Jesus wanted desperately for them to know the truth…. He even prayed that they would know that they were all ONE. Who we have believed ourselves to be is the creation of who we really are WITHIN. It is the IMAGE of who we really are… An image is not the source but a representation of the source. Don’t WE (who we really are) actually create who we want to be for others to see? Don’t we all do that? We do it so often that sometimes it’s hard for us to keep track of who we really are, because we are so busy creating the image of who we want to be… BOTH CONSCIOUSLY AND SUBCONSCIOUSLY… And that is the reason the world seems to be in the mess it is. Now let’s take that though a step further. First we create who we project into this world (who we think we are) and then we CREATE physical representations of (who we think we are) into this physical world as well by having children. My wife and I said, “wouldn’t it be wonderful to create a child in our image”… and we then begin the joyous process of having children. WE CREATE HUMAN BEINGS. 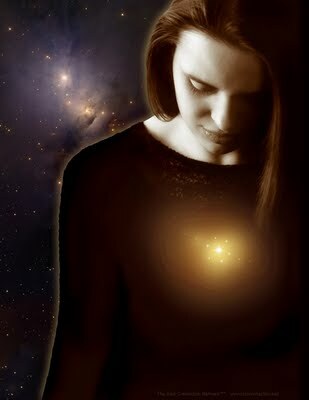 This begins within us and we then birth it out into this physical world. Then we go so far as to FORM those CHILDREN into WHO WE WANT THEM TO BE… Which in effect makes it hard for them to TRULY KNOW WHO THEY ARE… which is THE SAME AS WHO WE ALL REALLY ARE. Because there is ONLY GOD. When Moses dares to share GOD with Pharoah… what was the NAME OF GOD AGAIN? Think about this for a second. God can never forsake you or leave you? WHY? you ask… Because YOU CANNOT FORSAKE OR DENY YOURSELF (who you really are within)… And it doesn’t even matter if you don’t believe what I am writing is true… because you can’t deny who you are to begin with. What if this is the key to our freedom? Could it be that we ALL are GOD in a manner of speaking? 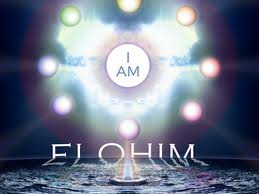 That we are all many members of the ONE BODY WHICH IS GOD? And if that be true is it so far-fetched to think that we all ARE projecting who we think we are into the world and creating all the wonderful things and terrible things we experience… because we simply believe that is what is supposed to be. Is it possible that we create our own suffering and create our joy? Is this possible? The scriptures seem to back up this belief. Job said, he greatest FEAR came upon him. Is it possible that our thoughts create our world? Is this why the scriptures warn us that the power of life and death is in the tongue? Consider something on a tangible scale… Look at your wall… now imagine a beautiful painting there… Can you not simply be imagining this and desiring this, create this and manifest this into your world? BELIEF is the KEY to creation. Let me tell you why. WHATEVER YOU BELIEVE YOU RECEIVE. If you don’t think you have power to calm the storm, YOU CAN’T… because you have created you inability to do so. If you BELIEVE you can turn your situation around, YOU WILL. If this wasn’t true then why would the scriptures point us in this direction? IF YOU BELIEVE YOU WILL RECEIVE! But if you don’t want to believe these words, then look to your lives and ask yourself if anything in your life that has happened was something you couldn’t believe would happen… Then ask yourself, is anything that you want in life but don’t have something you truly believe you can have. For years I have lived a life of saying I would do this or that before I found myself doing this or that. That goes for the good and the bad. Because if I am truly honest with myself… this is the story that I told myself and believed so what other story could be played out before me. Few people are ready to grab unto the belief that their every waking moment is a creation of who they are to begin with. The problem is most are creating only fear and misery in their life… because they have been programmed since birth to believe that they are no good sinners and that they are incapable of saving themselves from their own ignorant creation. When the conscious mind and subconscious mind are of one accord, they are perfect, WHOLE… they are God manifested in this world. Fulfil ye my joy, that ye be like-minded, having the same love, being of one accord, of one mind. The problem is the conscious and subconscious mind have been separated, the subconscious mind was taken out of the conscious mind’s control… Just as Eve was taken out of Adam. The big trouble started when the subconscious mind began listening to the wrong HUSBAND… Our ego began talking to our subconscious mind and now we find our greatest fears coming upon us… because we deal more with thoughts of fear and worry and doubt and BELIEVE them to be true, more than we believe that we HAVE THE POWER TO CREATE. So in essence we are ignorantly creating all the time… JUST NOT THE THINGS WE DESIRE. We only create the things we BELIEVE will be. Another way or looking at it is our subconscious mind is as GOD and our conscious Mind is as ADAM… and there was a time both were one accord and NOW they are separate. These ideas I put forth, are simply ideas… but well worth pondering. This is what the scriptures mean by taking on the mind of Christ, killing off the anti-christ… etc. We have forgotten the truth and there has been this “veil” between the truth and who we think we are in this world. But this veil is taken away the instant we take up that cross. Let’s put aside all of our religious indoctrination and the fear that goes along with it for a moment. Let’s dare to ask ourselves the really hard questions. What if there really is more to us then we know. Where is God according to scripture? Point to your temples people… God is ruling right there from his throne… in his KINGDOM. And where is God’s kingdom? God exists IN his TEMPLE which is who you project into this world. God creates the Temple which is who you project into this world. God exists in his Kingdom… which is WITHIN YOU (who you project into the world). According to scripture GOD exists WITHIN YOU (who you think you are)… Just as the subconscious mind exists within the conscious mind and vice versa. You are truly the beginning and the end of your life. You are the very center of all things IN YOUR WORLD. Everything everywhere exist outside of you, but has to exist WITHIN you for you to experience it. WHY IS THAT? What if you dared to look deeper? What would happen if you dared to take responsibility for everything that happens in your life? Now… what would happen if you began to CREATE and ACT… as opposed to simply believing you are going along for the ride. Your experiences are dependent on your choices and your choices are dependent on what you believe can and cannot be accomplished. Jesus said… if you want to know the way to the FATHER… then look at me. Jesus said I AM THE WAY, THE TRUTH, AND THE LIFE… Jesus also said so is everyone else. I wrote this article not to say I am God… but to pose a question to all of you… IF YOU AND I AND EVERYONE WAS GOD how would that change the way we live our life? And for those that say we should not question such things… I will remind you of what Jesus said to his disciples. My prayer has always been “Teach me the truth no matter what the cost.” Because it is only the TRUTH that can set us all free… The question I have now is… Just who am I praying to? If the only God there is, is within me to begin with. The YOU you ARE in this world is a projection of something so much greater than who you believe, and know yourself to be… Who you are in this world is a “HOST” for something much greater than you, hiding away within you, pulling the strings, the ghost in the machine. The LORD (EXISTING ONE) OF HOSTS is another name for “God” in scripture. But make no mistake about it, “No one has seen God at anytime…” YOU CAN’T SEE THE SEER after all. This will be probably my shortest post to date. Tonight I felt it was necessary to explain what the Carnal EGO of man is, show you what the scriptures call Mankind’s Ego, and how the truth finally sets us free from it all. The EGO is defined as “A consciousness of Identity, Individuality and a person sense of SELF importance” – An EGO is WHO YOU THINK YOU ARE… now with that in mind. Let me open up some scriptures for you after a brief intro. The EGO is the FATHER of all LIES. It is a LIE to begin with, for your EGO is not real and does not exist. This is your adversary, your enemy that is trying to devour you. Your EGO is prince of this world (ruler of your lusts). Your EGO is the one that condemns you, blames you, and tries to destroy you. YOU EGO will lie to you, steal from you, and ultimately destroy you… IF YOU DON’T RESIST your EGO. So resist your EGO and your EGO will depart. But be on your guard, because your EGO can come disguised as an ANGEL of LIGHT. Your EGO is the one who KILLED your TRUE NATURE (Gods child). Your EGO was a murderer from the BEGINNING. Because when you believed YOUR EGO was YOU, your TRUE NATURE was put to death (killed in your mind-Golgatha). The Carnal Ego of man is the beast that is and is not and yet is… It is the devil that is written about in scripture. THE DEVIL spelled backwards is LIVED! Indeed, it is your past experience that FORMED this DEVIL of an idea of who you are. But you aren’t your past, you aren’t an addict, an abuser, a victim, a fool, a glutton, or anything else your past has tried to convince you, you are. ……YOU ARE MORE than the life you LIVED/DEVIL. This “DEVIL” of an identity was formed out of the DUST/LIES of your past. Your PAST IDENTITY, or the life you lived/devil that you IDENTIFY WITH is YOUR ENEMY! ……The DEVIL is the accuser of the brethren! This past IDEA of who you think you are was formed out of the life you LIVED/DEVIL and is always there to remind you how to judge people and circumstances. And by following after the past you continue to relive the past by making the same ignorant mistakes, based on the lies of the past and hang ups that aren’t real to begin with. …..The DEVIL (Life you LIVED) is a LIAR! The past is a LIE because it does not exist anymore. So to make your decisions based on past experiences is to not judge things as they are in the moment. To LIVE IN THE PAST is to DIE IN THE PRESENT. This is why so many have “baggage” because they carry this DEVIL (life they have lived) everywhere with them. And because of this they continue to suffer. ….. You PAST does not dictate your future, unless you decide to allow it. You are more than you know. Just as you created your past experience you have the choice to create your present however you would like it. You are not the LIFE YOU LIVED/DEVIL — THE DEVIL is only the sum of your past experiences that you have allowed to RULE YOU in this age. This is why the DEVIL is called the god of this world. People are ruled by their past experiences, past beliefs, and their past traditions. ….. However, this is not who you are, you are whoever you decide yourself to be, YOU CAN CREATE who you are in each moment. Don’t let the sad life your LIVED/DEVIL dictate your present experience. …… RESIST the lying voice of your past experience and it will flee from you. RESIST your past destructive behaviors, triggers, and ill informed notions and YOUR ENEMY the DEVIL (the condemning voice of your past idea of who you are) will flee! This DEVIL is the carnal EGO of man. This is the enemy hiding in plain sight. It is the YOU, you think you are but are not. Now not everyone is ready to hear this. Most believe there is an enemy outside of them working hard to ruin their lives, but this is another lie of man’s carnal ego. The Ego of mankind always wants to blame everyone and everything else as opposed to dealing in truth. And many can’t see this because they simply can’t hear this truth yet. Those by the way side are they that hear the TRUTH; then comes their EGO, and takes away the word out of their hearts, lest they should believe WHO THEY ARE and be saved from WHO THEY THINK THEY ARE. You can’t hear from God while listening to your Ego. It is impossible to hear the truth, when ruled by the false image that you have believed yourself to be. This is why so many people are torn up inside, this is why Paul wrote in Romans about wanting to do good but doing what he hates. No servant can serve two masters: for either he will hate the one, and love the other; or else he will hold to the one, and despise the other. A house divided will eventually fall, now that isn’t necessarily a bad thing. Because the house that many live in today is their EGO. And the Ego has to GO. The reason is simple, one will not listen to the TRUTH if their EGO has them believing they already know all they need to know. You ever try sharing the love of God with people who believe in infinite torture? They won’t listen to a word of what you say. Because the lie of the EGO’s in this world is strong. SO MANY people have taught about a place of endless torture for so long, so many believe in this place, the EGO of mankind won’t listen to different. The EGO of man will keep you from hearing the truth, and speaking the truth. 32 As they went out, behold, they brought to him a DUMB man controlled by his EGO. And when his EGO was cast out, the DUMB spoke the truth, and the multitudes marveled saying, IT WAS NEVER SO SEEN IN ISRAEL. No one wants to be wrong, many say. Our EGO needs to be fed, it needs to be puffed up constantly. It goes about looking for praise, looking for acceptance, and looking for approval. But this is all vanity, it is a chasing the wind, or as eating dust. You will never grow spiritually or truly benefit by feeding your ego. Those who choose the HIGHER WAY, the TRUTH will depart from the evil of the EGO. Notice that a HAUGHTY SPIRIT (we know spirits are thoughts)… Haughty THOUGHTS come before a FALL… And who was it that fell again? And he said unto them, I beheld the EGO of Mankind as lightning fall from heaven. Your EGO will lift you up, and then tell you to cast yourself down. 5 And the MAN’S EGO, took him up to heights of pride and showed him all the kingdoms of the world in a moment of time. 6 And the Man’s EGO said unto him, All this power will I give you, and the glory of this-worldly system: for that is delivered unto me; and to whomsoever I will I give it. 7 If you will WORSHIP me and believe me and only listen to me, all shall be yours! We saw the temptation of Jesus in the wilderness. He was TEMPTED, which means to be drawn away by your own lusts. And who does that tempting? Is there a literal snake trying to convince you to listen to lies, OR is it your EGO that does the tempting. And the deceit is so great because YOU THINK THESE THOUGHTS ARE YOUR OWN and you TRUST THEM. But they are NOT YOUR THOUGHTS, they are the LIES of your EGO. You are of your father YOUR EGO, and the lusts of your EGO you will do. Your EGO was a murderer from the beginning, and EXISTS not in the truth, because there is no truth in your EGO. When he speaketh a lie, he speaketh of his own: for he is a liar, and the father of it. The EGO of man will convince you that doing evil is good, and that doing good is evil. The EGO of man will convince you to follow all sorts of VAIN TRADITIONS and RELIGIOUS nonsense. This only feeds your EGO. By setting up chairs at service, or helping with parking, or fasting, or celebrating a certain way, dressing a certain way, being a certain way, and more… this is only a sacrifice for your EGO. God has only wanted you to LOVE GOD AND OTHERS! 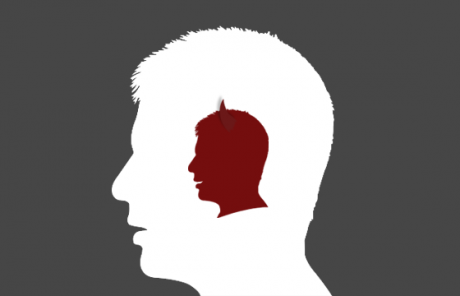 So how do we beat this DEVIL (EGO)… we need to RESIST our EGO. Submit yourselves therefore to God. Resist the EGO, and he will flee from you. The best way to stand against your EGO is to constantly seek the TRUTH. Pray for the TRUTH. Only act out of true love, and love lifts others it does not tear down. Love does not fight, debate, condemn, cast out, love never fails. There is no fear, worry, or hate in LOVE. If it ain’t LOVE it ain’t GOD, and if it ain’t God it is the Ego of man. Because it is our EGO that sins from the beginning. He that committeth sin is of the EGO; for the EGO sinneth from the beginning. For this purpose the Son of God was manifested within you, that he might destroy the works of the EGO. Notice how we differentiate between children of God and children of the EGO. In this the children of God are manifest, and the children of the EGO: whosoever doeth not righteousness is not of God, neither he that loveth not his brother. Those Born of God LOVE, LOVE, LOVE! Those born of their EGO, hate, hate, hate. Now this doesn’t mean that people who are children of their EGO’S, who think they are their EGO, who are ruled by their EGO don’t believe in God. The EGO is tricky, think about how many claim to believe in God and KILL in the name of God… or so they think. Their EGO convinced them, that to harm others, to condemn others is what would appease God. In fact, the EGO of man worships a god in its image. The god of the EGO is a scary, vengeful hateful God. One that will torture you endlessly for not following mankind’s religious ways. THAT’S THE EGO TALKING THERE PEOPLE! The EGO of man will convince people to do all sorts of things to appease their false god, because they are scared of this god as well. Thou believest that there is one God; thou doest well: the egos of man also believe, and tremble. Mankind’s EGO is the cause of all suffering in the world. If it is not causing literal suffering, your ego will cast you into an emotional prison for which their seems to be no escape. And worse still the EGO of mankind will punish anyone who doesn’t believe what it believes. This is why we see people being killed in the name of God, or imprisoned, shunned, etc. Fear none of those things which thou shalt suffer: behold, MAN’S EGO shall cast some of you into prison, that ye may be tried; and ye shall have tribulation ten days: be thou faithful unto death, and I will give thee a crown of life. But the good news is the EGO is eventually destroyed in God’s consuming fire. It is LOVE that draws a multitude to repentance. So hang in there, learn which thoughts to take captive, which to cast away and which to take to heart. God has thoughts of peace for you, the EGO has pride, fear, and worse for you. Choose this day which “God” you will serve. DON’T FOLLOW YOUR EGO! LEGGO OF YOUR EGO!